Now, the company is apologizing -- sort of. “In response to your query about the swimsuit image on target.com, this was an unfortunate error on our part and we apologize. We have removed the image from our website,” a spokesperson said in a widely circulated statement. It&apos;s easy to remove the offending image; it&apos;s more difficult to explain how that happened in the first place. The only explanation offered: "It was the result of a photo editing error on our part." The problem with this horrible Photoshop job isn&apos;t that Target doesn&apos;t hire people who know how to use Photoshop properly; the problem is that it highlights all the areas where the Photoshopper was attempting to slim down an already thin model. 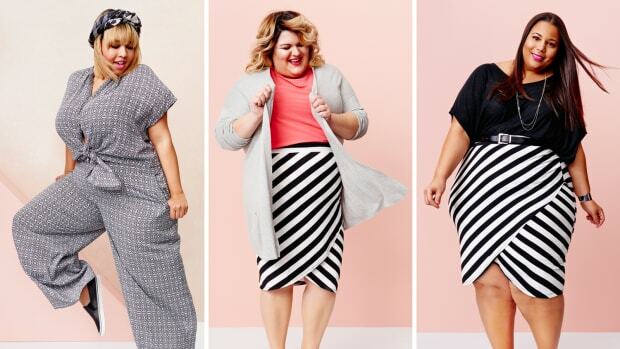 By horribly cropping out parts of her crotch, hip and underarm/bust area, it becomes undeniably obvious that Target is guilty, like so many others, of using technology to create unrealistic bodies. Hopefully Target, already beleaguered with issues in the wake of November&apos;s high-profile e-commerce security breach, will learn a lesson here: Take it easy with the Photoshop. And we don't mean putting a Valencia filter on them. Is This Victoria's Secret Pic of Model Lais Ribeiro Yet Another Photoshop Fail For the Brand?